On April 15, more than 200 young women — the exact count varies, as much of the information around this story, from sources official and not, remains uncertain — were taken in the night from a boarding school in Nigeria as punishment for learning. One thing everyone agrees on is that the Islamic group Boko Haram, which believes in Sharia law and terrorizes the region, is to blame. 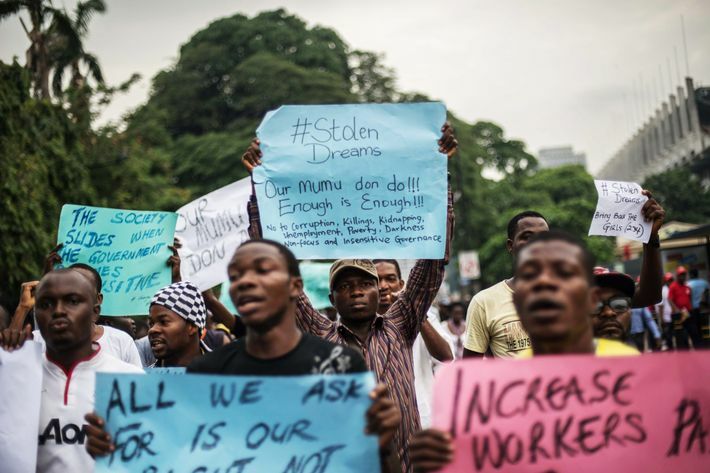 Days and days later, Nigerians, largely women, are protesting in the street, demanding more government action. The west is just starting to notice. It’s a heartbreaking, tragic story with an ending that will almost certainly be unhappy for most, but the details are worth knowing. “I thought it was the end of my life,” Deborah Sanya told me by phone on Monday from Chibok, a tiny town of farmers in northeastern Nigeria. 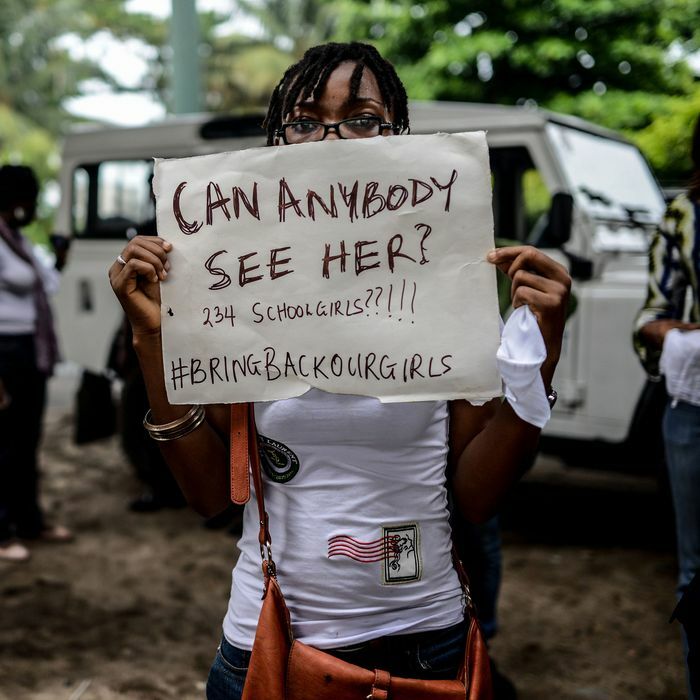 “There were many, many of them.” Boko Haram, an Islamist terrorist group, kidnapped Sanya and at least two hundred of her classmates from a girls’ secondary school in Chibok more than two weeks ago. Sanya, along with two friends, escaped. So did forty others. The rest have vanished, and their families have not heard any word of them since. How can you not keep reading? 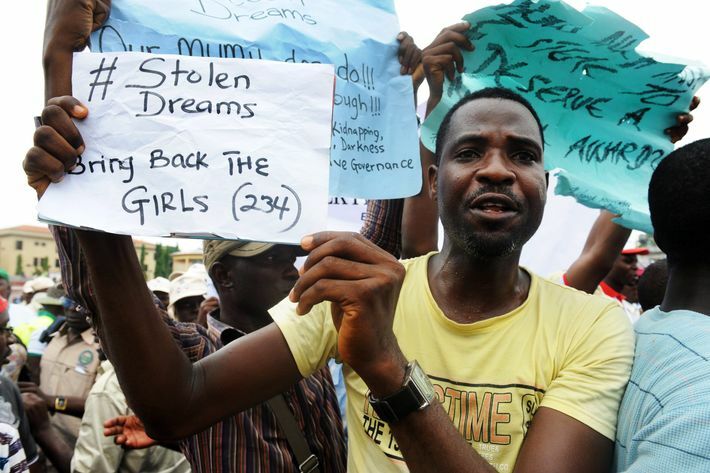 The captors, described as “armed and uniformed” men with trucks and motorcycles, may have been dressed in stolen uniforms from the Nigerian military, and posed as soldiers taking the girls to safety. The teenagers, up late to study for an exam that had already been postponed owing to threats, only realized they were in danger when “the men started shooting their guns into the air and shouting ‘Allahu Akbar,’” Okeowo reports. The missing are between 16 and 18 years old, both Christians and Muslims, targeted solely for their participation in a secular education. The name, in a local language, means “Western education is a sin,” CNN reports. The group especially opposes the education of women. Under its version of Sharia law, women should be at home raising children and looking after their husbands, not at school learning to read and write. Suspected Boko Haram members have carried out hundreds of attacks, including suicide bombings, across northern and central Nigerian since 2009, killing more than 1,600 people. The group has primarily targeted police and other government security agents, Christians, and Muslims working for or accused of cooperating with the government. At this writing, suspected Boko Haram members had gunned down or bombed worshipers in at least 16 church services in 2012. The group also burned schools, bombed newspaper offices, and assassinated Muslim clerics, politicians, and traditional leaders. In the first 10 months of 2012 alone, more than 900 people died in suspected attacks by the group—more than in 2010 and 2011 combined. In February, the group “shot or burned to death 59 pupils in a boarding school,” all boys. Last month, there was a bus stop bombing. In the wake of the military’s failure, parents banded together and raised money to send several of their number into the forest to search for the girls. The group came across villagers who persuaded the parents to turn back. They told the parents that they had seen the girls nearby, but the insurgents were too well armed. Many of the parents had just bows and arrows. 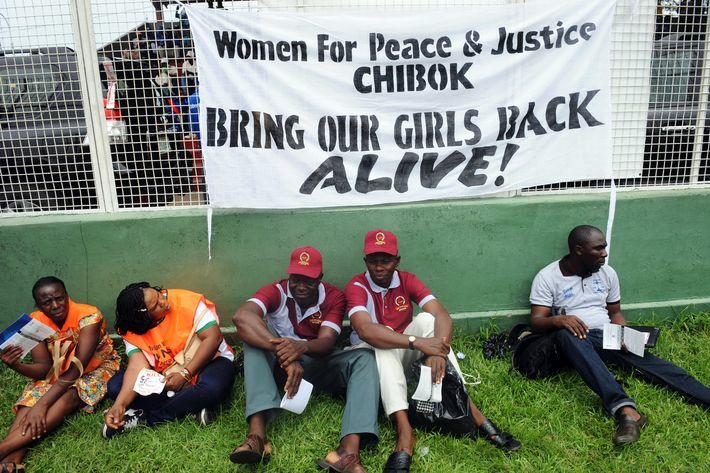 A Chibok elder told AFP, “From the information we received yesterday from Cameroonian border towns our abducted girls were taken … into Chad and Cameroon,” where they were sold for 2,000 naira, or $12, each.